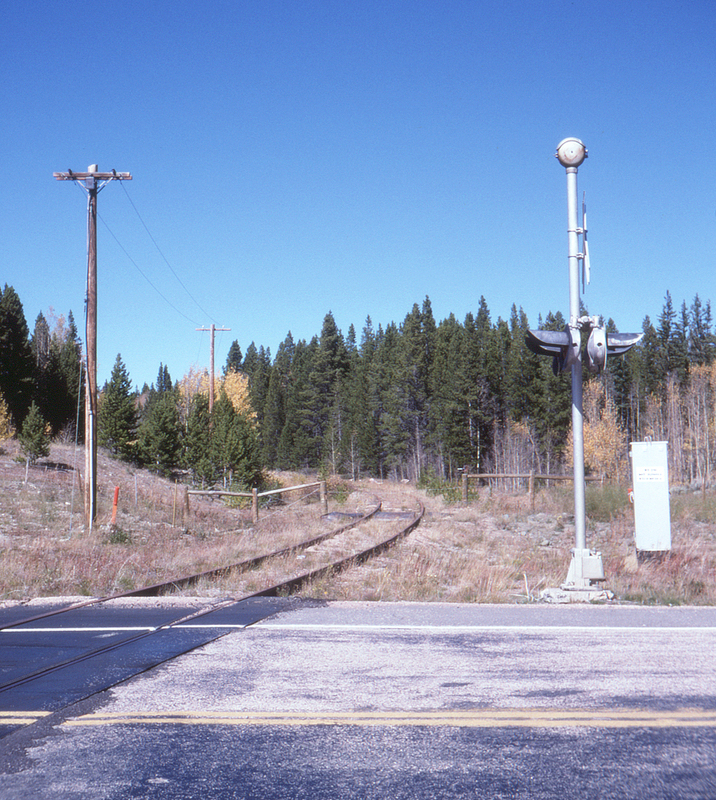 Looking north from the Coalmont Branch grade crossing with Wyoming Highway 230, a few miles south of Foxpark, reveals that crossing flashers are still in place, though how long it's been since a train passed is unknown (and probably not recently). This page posted 1/1/2019. Text and photo ©2019 Lamont Downs.